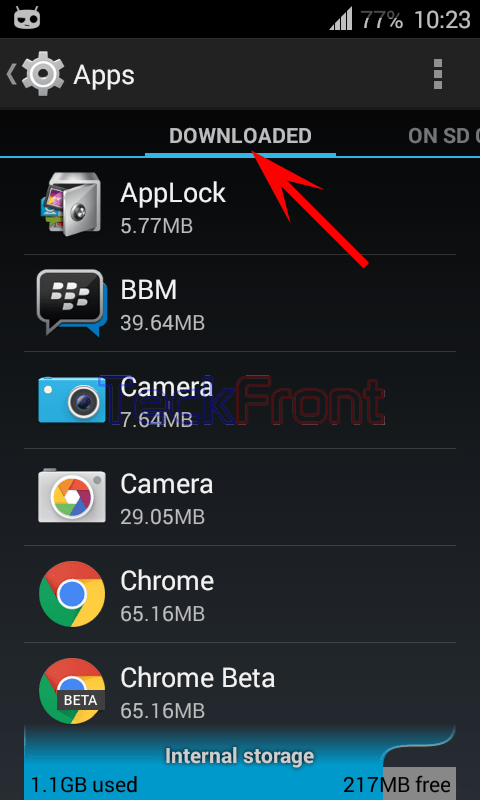 How to See Downloaded Apps on Internal Storage in Android 4.4.4 KitKat Phone? It is always better to keep a constant eye on the downloaded apps to avoid the excessive load on storage of your Android 4.4.4 KitKat phone. It will not only increase the speed and performance of your Android phone but also will keep your downloaded apps in eye. It is easy to see the downloaded apps by following the instructions. 1: Follow the Command Line to open ‘Apps’ screen. 2: See the DOWNLOADED apps by scrolling the list of apps download. You will find many apps which may not be useful / appropriate / unnecessary / rather harmful to your phone mobile / users. Older How to Set Burst Mode & Number of Snaps in Camera App of Android 4.4.4 KitKat Phone?